Cupcakes made with tequila. It doesn't get much better than that, especially once you add the tequila-lime icing. 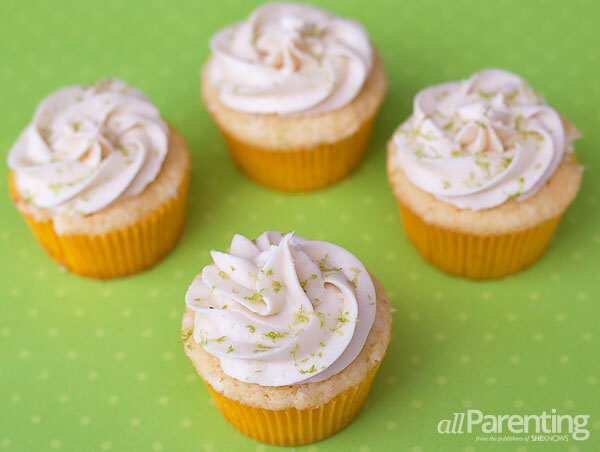 Whether you're celebrating National Margarita Day, Cinco de Mayo or your 21st birthday (for the 10th time), these margarita cupcakes should be on the menu. They are sweet, salty and full of tequila to make your special day that much better. For those over 21, these margarita cupcakes with tequila-lime icing are the perfect way to celebrate any special occasion. Put on your baking gloves and grab that bottle of tequila — it's time to party! Preheat the oven to 325 degrees F and line a muffin pan with baking cups. Add flour, baking powder and salt to a medium bowl. Stir to combine and set aside. In a large bowl or a stand mixer, mix the butter until it's light and creamy. Add the eggs 1 at a time, mixing in between each egg. Add the lime zest and juice, vanilla extract, Cointreau and tequila. Mix to combine. Add the dry ingredients and the buttermilk by alternating. First, add 1/3 of the flour mixture and mix. Next, add 1/2 of the buttermilk and mix. Then add 1/3 more of the flour and mix. Add the rest of the buttermilk and mix before adding the last 1/3 of the flour. Be careful not to over mix the batter when adding these ingredients. You might even want to combine the last of the flour by hand. Scoop the batter into the prepared baking cups and bake for 23 to 25 minutes, or until a cake tester inserted in the middle comes out clean. Let cool for 5 minutes in the pan and then transfer to a wire cooling rack. 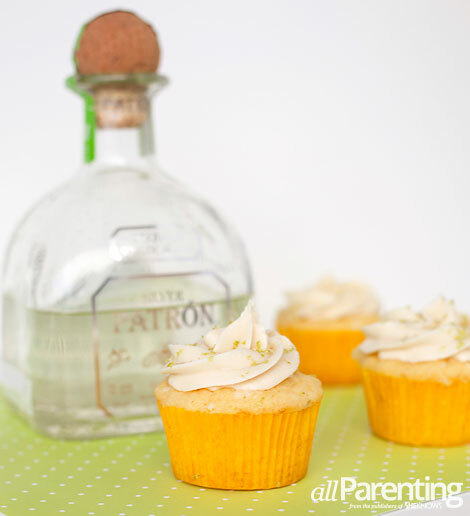 After transferring to the wire rack, brush the tops of the cupcakes with tequila. Once cooled, ice the margarita cupcakes with the tequila-lime icing and top with lime zest and a little pinch of fleur de sel (or flaky sea salt) before enjoying. 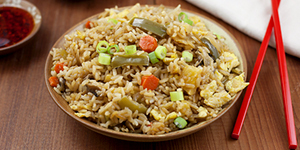 Leftovers can be stored in an airtight container for a couple of days. Baker's Tip^If you don't have buttermilk on hand, add 1/2 tablespoon fresh-squeezed lemon juice or white vinegar to 1/2 cup milk. Let sit for 5 to 10 minutes before using. Using an electric mixer, whip the butter until smooth and creamy. Slowly add the powdered sugar, 1/4 cup at a time and mix until combined before adding more. This will help the icing to remain smooth and not lumpy. Taste the icing mixture after adding 2 cups of powdered sugar. If it's not sweet enough for you, add more powdered sugar to taste. Add the tequila and mix until smooth and creamy.